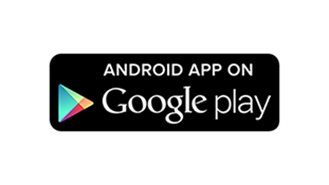 The official app of WBRZ News 2 and WBRZ.com! Stay on top of all the latest news, investigations, traffic, and sports with the free WBRZ News 2 app. The WBRZ News application provides comprehensive, award-winning coverage of local and national news. You'll have immediate access to the latest articles and videos from the WBRZ Newsroom and enjoy up-to-the-minute coverage -- all in one convenient application. You can share those stories with family and friends via e-mail, text message, Twitter and Facebook. 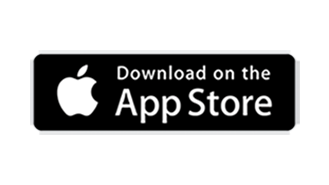 The WBRZ.com application is available now on the Apple App Store and Google Play App Store Today! *Apple, the Apple logo, and iTunes are trademarks of Apple Inc., registered in the U.S. and other countries. iPhone is a trademark of Apple Inc.
Get the FREE WBRZ Weather App and never let the weather catch you by surprise again. 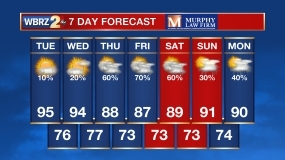 See your hour-by-hour forecast for the next day and a forecast for the week ahead. Unlike other weather apps, you'll get a local forecast that is customized for your needs. With its personal alert notifications, you'll know when significant weather is heading your way and when to take cover. And when you are traveling, use WBRZ Weather to get real-time weather forecasts, interactive radar and current conditions for anywhere in the U.S. The WBRZ Weather app utilizes the most advanced radar maps, weather and digital technology available. With its easy to use interactive radar, you can take control and see where the storm is now and where it is tracking. Then, set customized alerts to keep you and your family informed and safe. The WBRZ Weather app is available on the Apple App store or on Google Play!